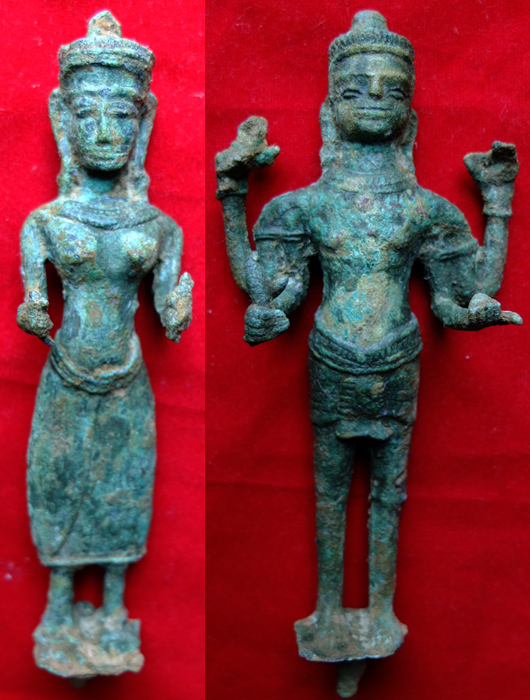 Description: These statues both were found in the same place in Ban Kruat distric, Buri Ram province, Thailand. The Vishnu, his attributes, clockwise from the proper lower right hand, are the mace, the conch, the disk and the glob. The Lakshmi is holding the lotus bud on her each hand.